Anarita Chorio is within a short walking distance to the small and traditional Cypriot village of Anarita, with its bars, restaurants and shops. The resort is in a countryside location but is in actual fact you are in close proximity to Paphos Town and Paphos International Airport (approx 10 minutes drive). 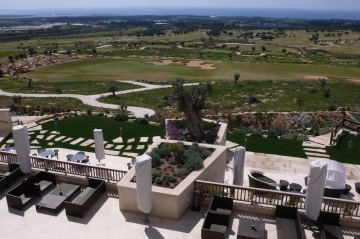 You are also just a very short drive from a number of beaches including Aphrodite's Rock (the famous mystical birthplace of the Goddess Aphrodite) and 3 major golf courses: Aphrodite Hills, the new Elea Golf Resort (Nick Faldo design) and Secret Valley. Within walking distance to local village facilities and amenities including tavernas, restaurant, bars and small supermarket. Close to fishing, water sports, walking, mountain biking and other activities.